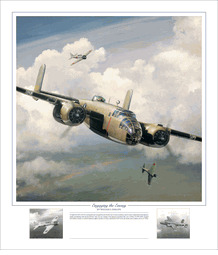 Paper print size: 26 1/2" x 31 1/2"
Paper image size: 23" x 23"
Canvas print size: 24" x 24"
Engaging the Enemy was painted specifically for the 69th Omaha reunion, home to pilot Richard O. Joyce. 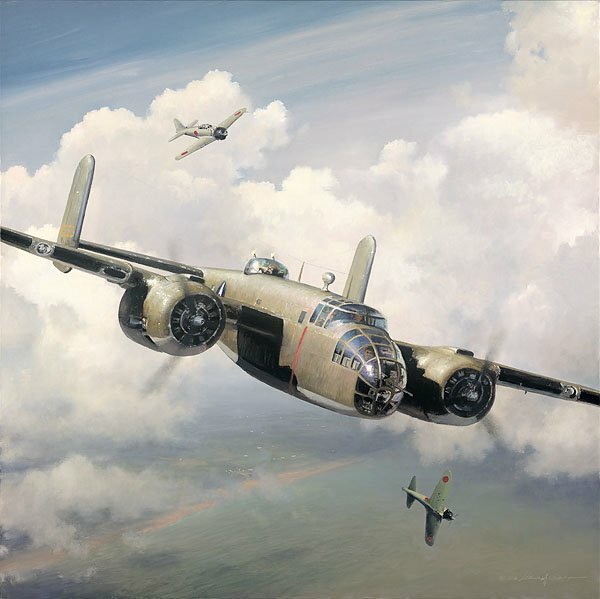 The fine art canvas is an exact replica of William S. Phillips’ original 24” x 24” painting. Only by spending tens of thousands dollars for the original could you possess something better. The edition is limited to just 50 copies, so only a few will have the chance to own one.